Submit your Story for the Customer Service Hall of Fame! Every day, blue-collar world changers quietly go about the business of serving their customers. And once in a while, something amazing happens that exemplifies the kind of above-and-beyond service that should be held up as an example for the rest of us… something we should all aspire to be. These are the stories of the Git Nation Customer Service Hall of Fame. We want stories about your business, technicians and employees that demonstrate what it means to always go the extra mile, doing what’s right, even when it hurts. Sometimes these are funny stories, and sometimes they may even be heart-wrenching. But they are always examples of amazing customer service delivered by one of your people. 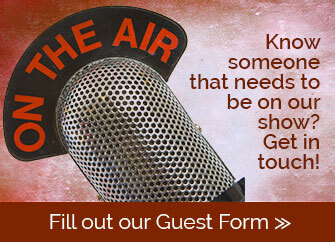 Share it with us, and nominate that person to be recognized on an upcoming episode. (Best way) You can call our Customer Service Hall of Fame Hotline (sponsored by Spark Marketer) 855-646-3538 ext. 450, and leave us a voicemail. We may use the recording on the show, or if we think it would be better, we will call you on the phone and record the story together. (Alternate way) You can use the form below to tell us your story, and if selected, we will call you on the phone to record it together. If you submit a story that is accepted for the show, we will send your employee a GIT Nation hat or t-shirt as our small way of saying thank you. So GIT to it, and we cannot wait to be inspired by your stories! I'm willing to schedule a quick audio interview for this. Add me to the weekly new episode and special offers list!